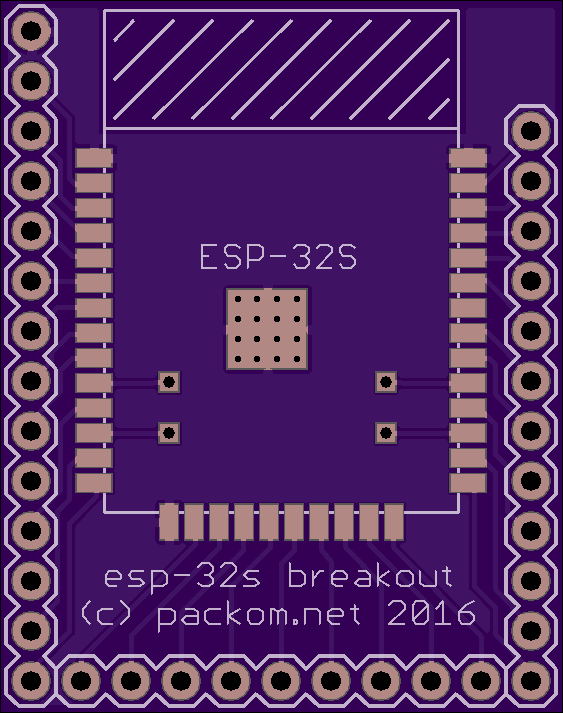 2 layer board of 0.81 x 1.91 inches (20.5 x 48.4 mm). Uploaded: September 22nd, 2018 16:04. 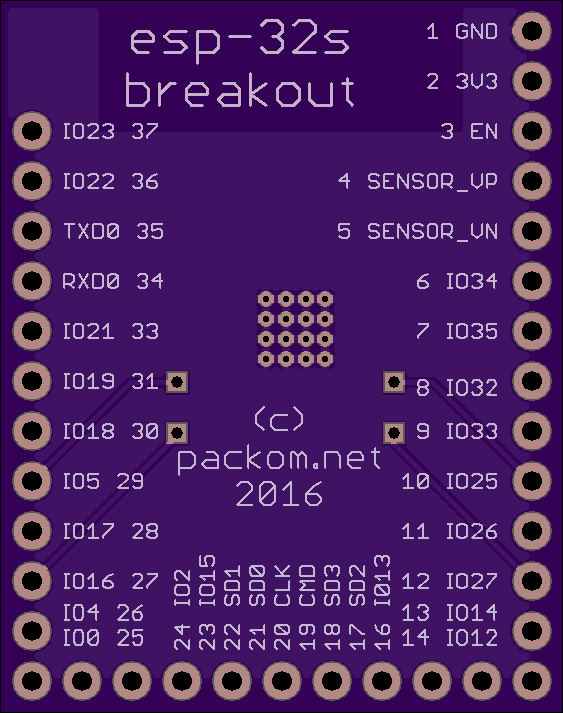 This breakout board is designed for the HTSSOP-38 package used by the PCA9956B 24-channel I2C constant current LED driver. There may be other ICs that use this same package. 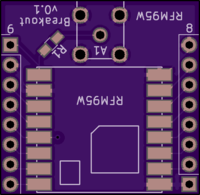 This board uses the recommended pad layout specified in the PCA9956B datasheet, which includes larger pin 1, 19, 20 and 38 pads, plus a pad undernath which is connected to a copper fill on the rear of the board. Traces are 9 mil, except for pins 1, 19, 20 and 38 which are 17 mil. 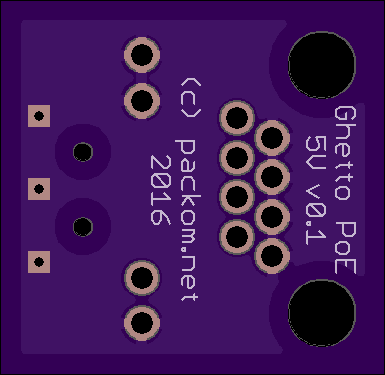 2 layer board of 1.01 x 0.98 inches (25.6 x 24.9 mm). Uploaded: January 29th, 2018 21:34. 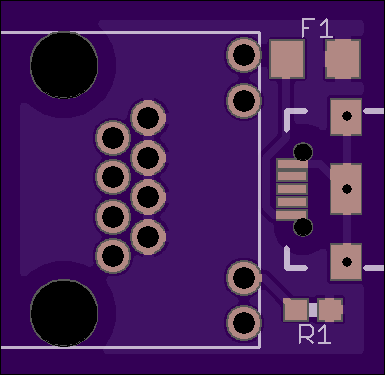 A small breakout board for the RFM95W/SX1276 LoRa module. 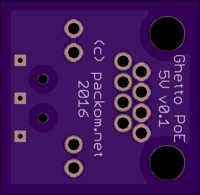 Cheap - about 1" x 1". 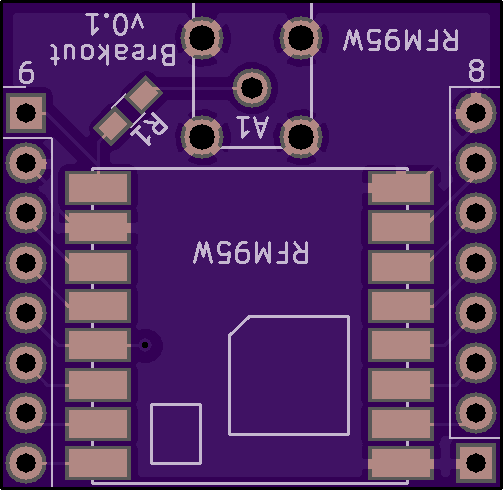 Has the option for fitting an SMA antenna on-board by populating R1 with 0R 0603 resistor. Includes de-coupling caps on rear - recommend to use C1 0.1uF and C2 10uF 0603s. 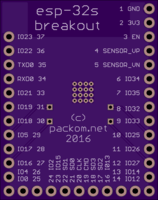 Has silkscreened area on the rear for recording info - such as the frequency of the device. 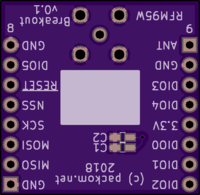 2 layer board of 0.54 x 1.26 inches (13.6 x 32.1 mm). Uploaded: January 13th, 2017 21:10. 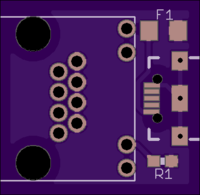 Designed for a CP2104 USB to UART bridge, broken out suitable for breadboard prototyping. Note that centre pad isn’t grounded, and there is no ground plane. 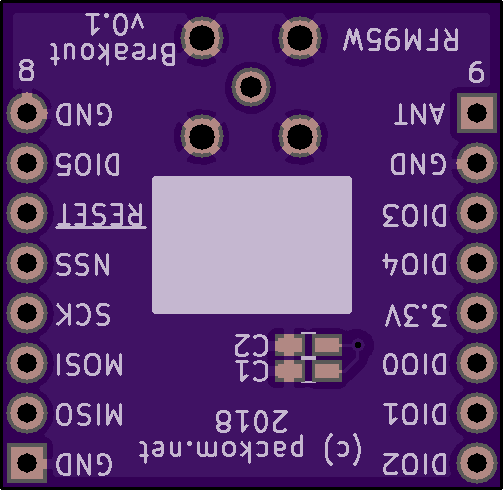 2 layer board of 1.13 x 1.43 inches (28.6 x 36.2 mm). Uploaded: December 31st, 2016 14:41. 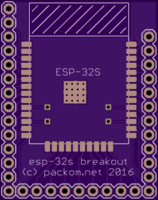 A minimal footprint breakout board for the ESP-32S module. Untested.